New Find! 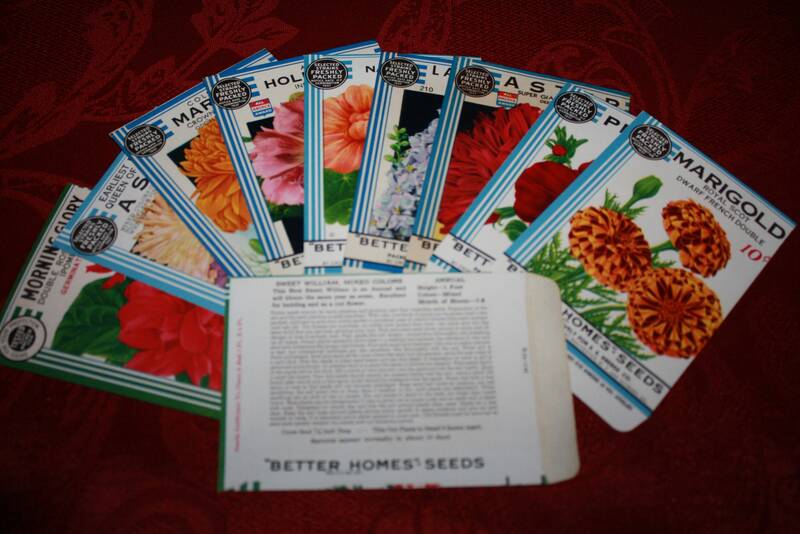 Lot of 10 Vintage 1934 Better Homes Seed Packets from Crosman Seed Co., East Rochester, NY! New Find! 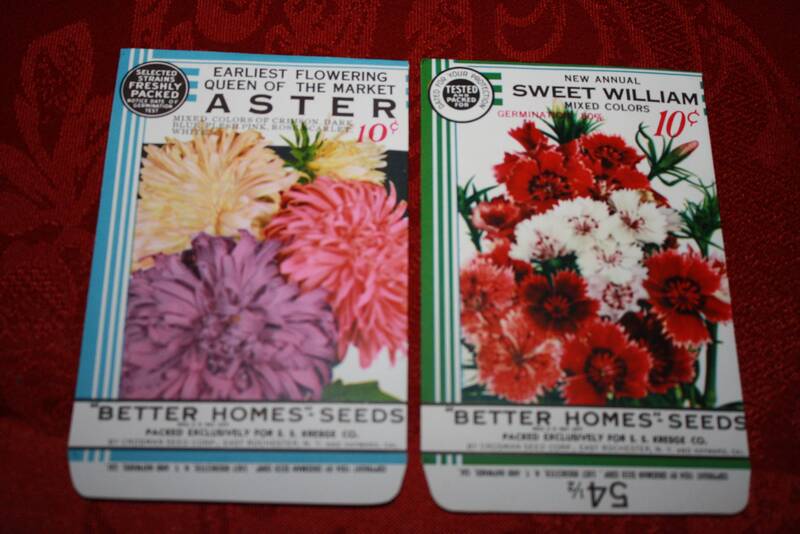 Lot of 10 Vintage 1934 "Better Homes" Seed Packets from Crosman Seed Co., East Rochester, NY! 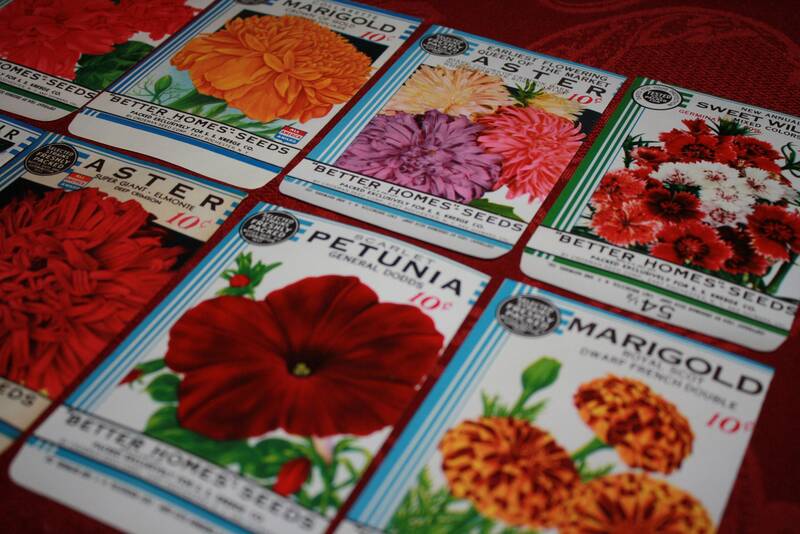 Here's a lot of ten different vintage flower seed packs that you likely haven't seen before! 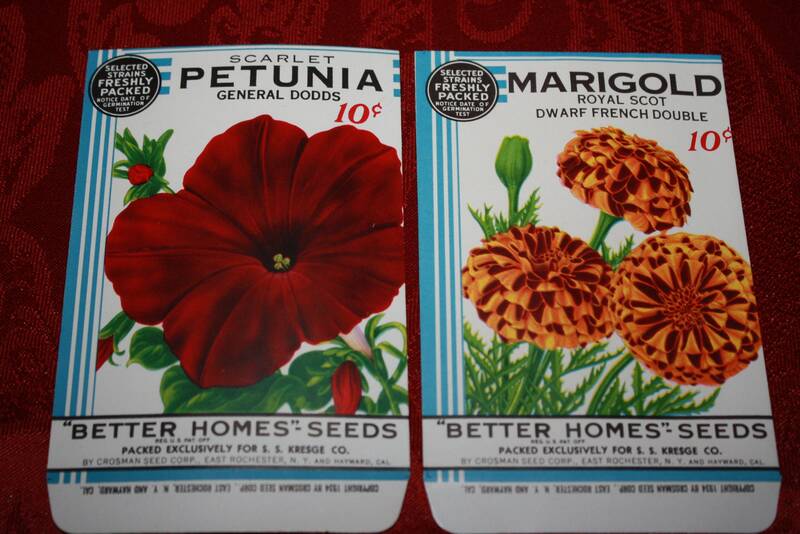 Never used, these are dated 1934 and have gorgeous, vivid colors and are in excellent condition! 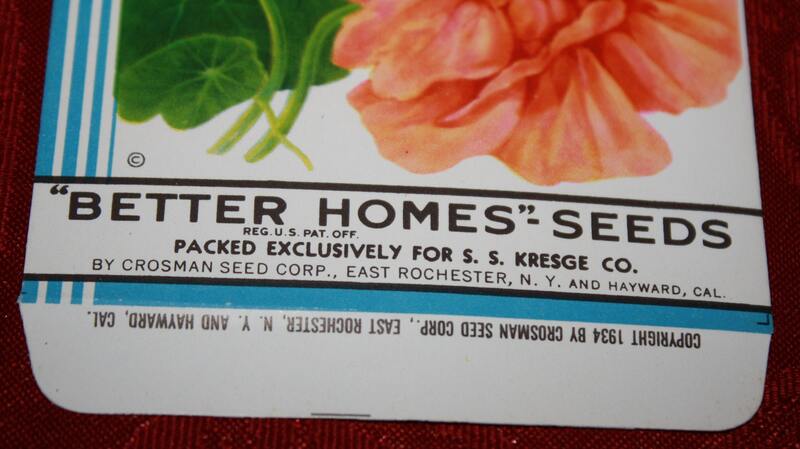 These packets are "Better Homes" brand and were packed by Crosman Seed Co., exclusively for S.S. Kresge Co. (the original business from which K-Mart evolved.) 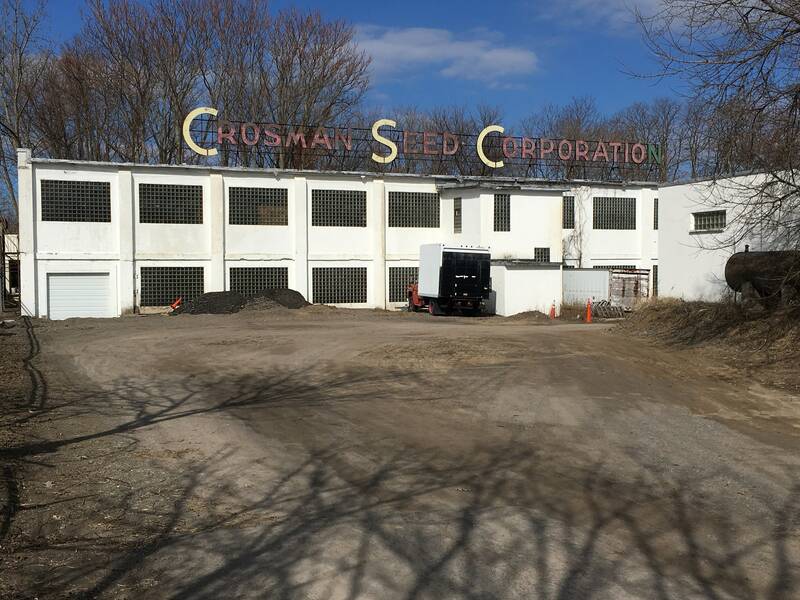 Crosman Seed, of East Rochester, NY was originally established in 1838. 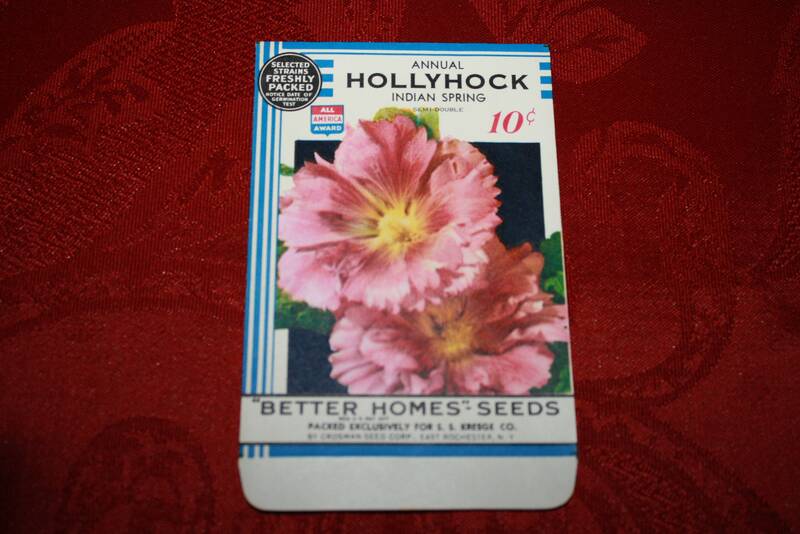 At one time they were the largest in the USA; now their seed packs are very scarce. 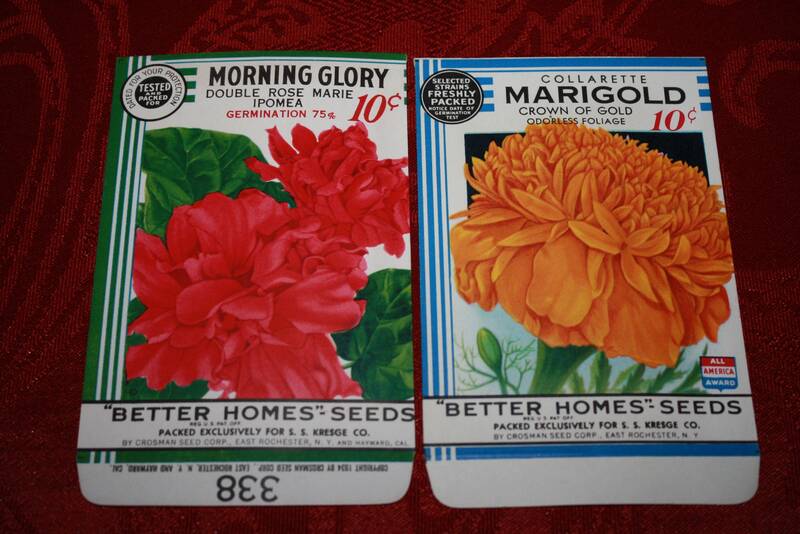 These vintage 1930s packets are beautifully lithographed and would look wonderful framed and matted. 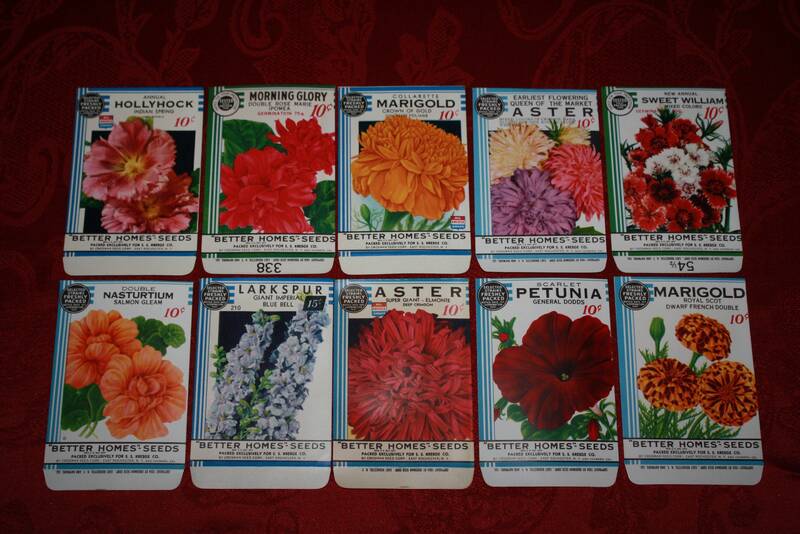 Get your collection of 10 different as shown for just $22.00 plus $1.00 First Class Letter domestic USA shipping. First Class Package shipping (rigid package) available for $3.50, contact us if you prefer the security of a package. Unique and beautiful, don't miss out on this collection. 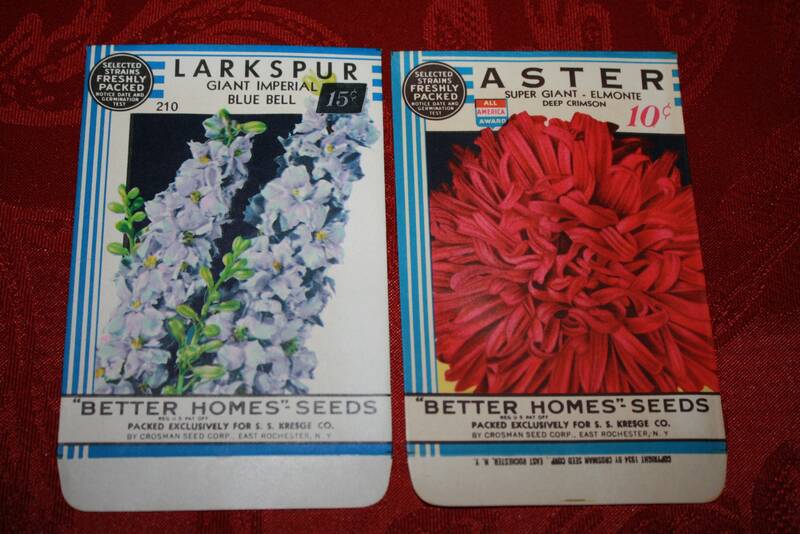 Please note: These antique packets are old, unused stock that do not have seeds inside.